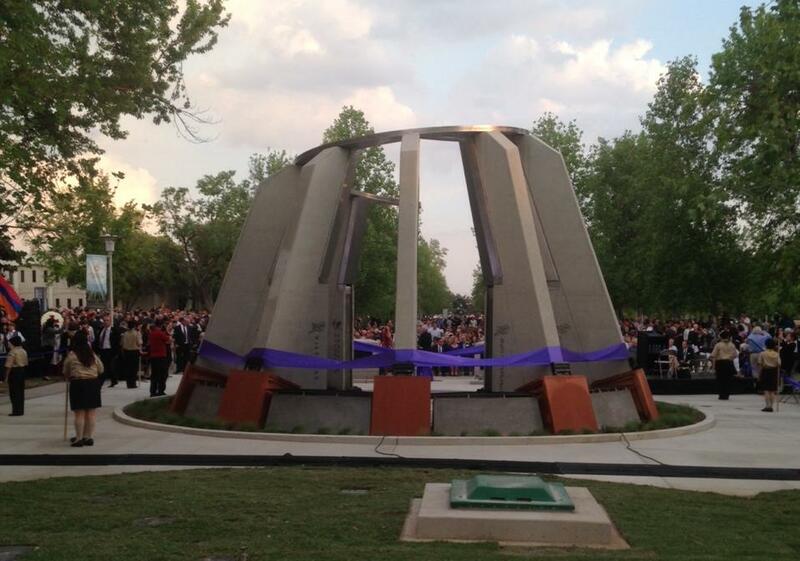 Over 1,000 people gathered for ceremonies dedicating the Armenian Genocide Monument at Fresno State Thursday night. Armenians around the world today are marking the centennial of the genocide which claimed over a million lives beginning in 1915. FM 89’s Jason Scott reports the San Joaquin Valley’s Armenian community is remembering the somber occasion with hopes for the future. Fresno’s honorary Armenian Consul Berj Apkarian told the crowd of over 1,000 that the Turkish government’s refusal to acknowledge the genocide is an assault on history and humanity. He hopes the monument will keep the memory of the tragedy alive. The monument consists of nine concrete pillars that represent different regions and time periods in Armenia. The top of the monument is a halo that is cut in half to represent the people who were killed in the genocide. 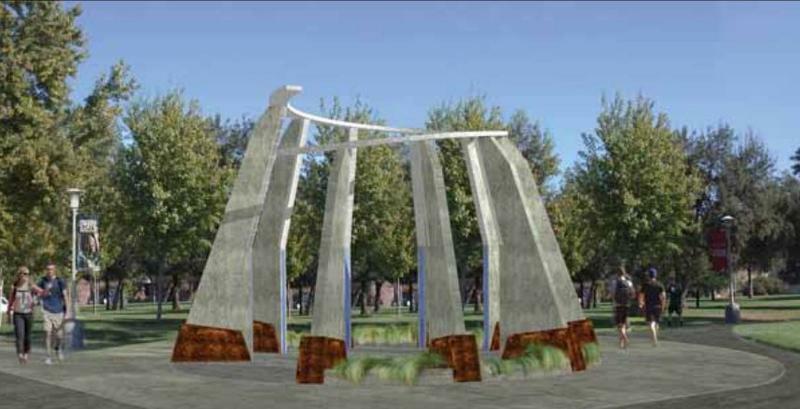 Fresno State President Joseph Castro says it’s the first college campus in the United States with such a monument. The monument was paid for with privately raised funds. This much is known: Up to 1.5 million Armenians were killed or deported in the violence unleashed by Ottoman Turks starting on April 24, 1915. But as the 100th anniversary of these events is marked on Friday, it remains a bitter source of contention between Turks and Armenians. 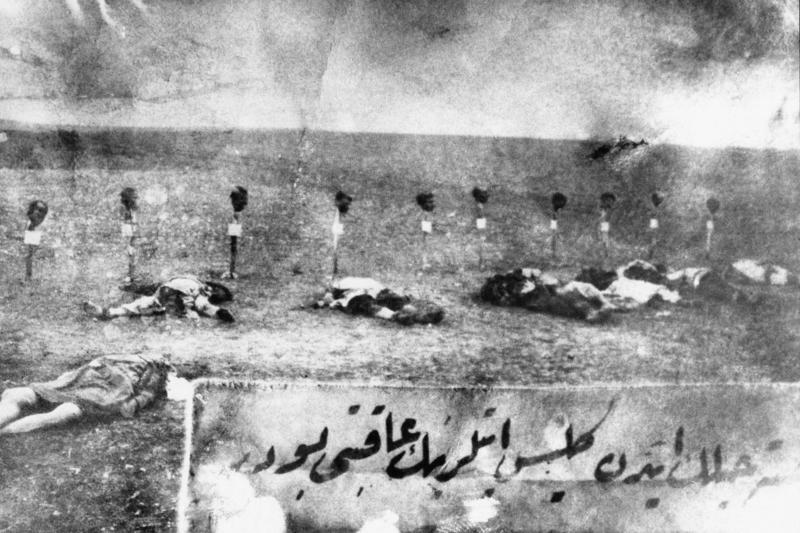 Armenians, along with many historians and European countries, have called it the 20th century's first genocide. Turkey suppressed accounts of the killings for decades, and to this day staunchly rejects the label of genocide. One hundred years ago this week, authorities of the Ottoman Empire rounded up hundreds of Armenian intellectuals and political leaders in Constantinople and executed them. One and a half million would eventually die in what we today know as the Armenian Genocide. 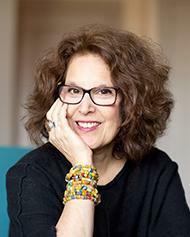 Acclaimed playwright Leslie Ayvazian wrote her humorous play "Nine Armenians" around 20 years ago about a young woman visiting her ancestral homeland for the first time. Now a new production of the play is in Fresno as part of the area's commemoration of the centennial of the Armenian genocide. Ayvazian joined us on Valley Edition to talk about her thoughts on the play two decades after its premier, and how her attitudes about her culture and the Armenian genocide have evolved over the years. Plans for museum dedicated to the memory of the victims of the Armenian Genocide have been mired in controversy for years. The legal battle between the Armenian Assembly of America and the Cafesjian Family Foundation took a new turn last week, but the effort to make the Washington D.C. museum a reality is far from over. Last Thursday, Armenians throughout the world marked the somber occasion of the 99th anniversary of the Armenian Genocide. 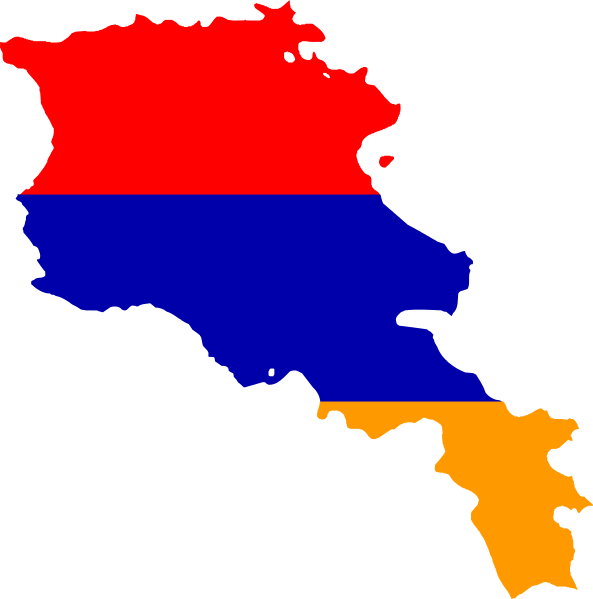 Around 1.5 million Armenians are estimated to have died in what is now known as the first genocide of the 21st century. 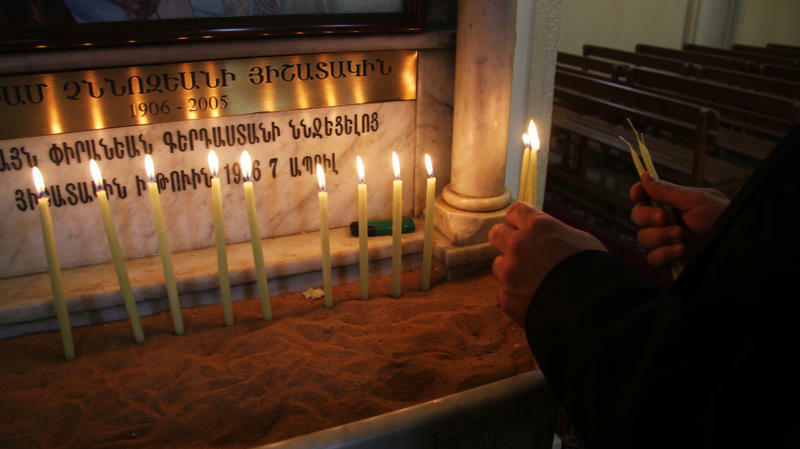 At St. Elie Armenian Catholic Church in downtown Beirut, Zarmig Hovsepian lit three candles and slowly mouthed silent prayers before Easter Mass. After reciting "Our Father," she added a prayer of her own: "For peace, for Lebanon and the region," she said, underscoring the deep sense of apprehension beneath the surface of otherwise festive Easter celebrations.